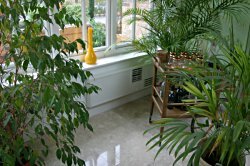 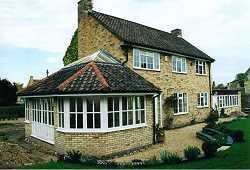 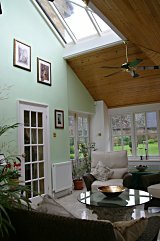 A lounge extension was required with a pan tiled roof but with a bit more style and pizzaz than a convential extension. 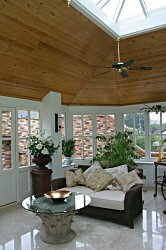 With the aid of some creative steelwork a high vaulted ceiling was achieved with a tongue and groove ceiling and a glass apex as the crowning glory. 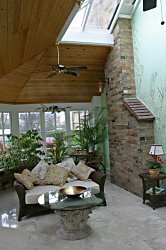 The existing chimney stack making an interesting internal feature. 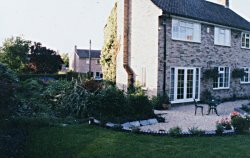 A unique lounge with all year round benefits including an air-conditioning unit set into tha cavity wall.